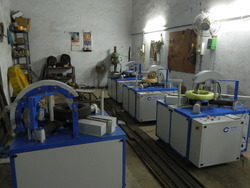 Providing you the best range of wire cable wrapping machine, coil stretch wrapping machine, semi automatic box wrapping machine, binding wire wrapping machine, box wrapping machine with motorized holding and box wrapping machine with pneumatic holding with effective & timely delivery. 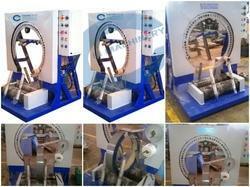 Leveraging on our in-house production unit, we are presenting a wide assortment of Coil Stretch Wrapping Machine. 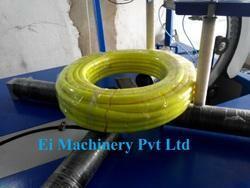 At our unit, our professionals manufacture the machine by adhering to industry norms. 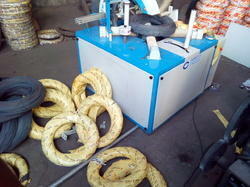 They also make sure to use quality materials and approved components for manufacturing the machine. Once the machine is ready for operation, our engineers ensure by opting strict quality checks so that the machine offers reliability and high performance to the clients. Furthermore, clients can opt for custom design and compact design according to business requirements. Power Supply 3- phase , 380v AC, 50/60 Hz , Power (kW) 3 kW PLC, Drive Delta Counter and Timers Standard Ring Size 700mm Conveyor Power Roller (M.S. 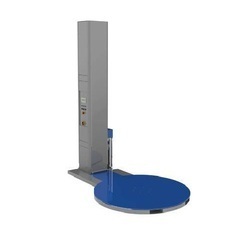 Powder Coated) In-Feed Conveyor 2 meter Output Conveyor 2 meter Motor Ring motor 1 HP (1400 rpm Induction Motor) Conveyor Motor 3 HP (1400 rpm Induction Motor) Working Height 700 mm / ( As per Requirement) Pneumatics Rotex Body Robust M.S. Powder Coated Construction Guide Auto Pneumatic for Product Holding Adjustable guide for All product sizes (Manual) (L * W * H) mm (2000 * 700 * 300 ) mm Weight 1000 KG. Updown System: no need to keep all sizes of rolls,any small size of roll can wrap bigger size carton boxes. 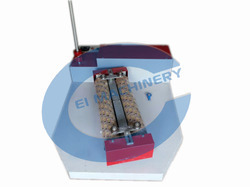 As one of the leading entity of this domain, we are engrossed in providing supreme quality Reel Type Pallet Wrapping Machine. 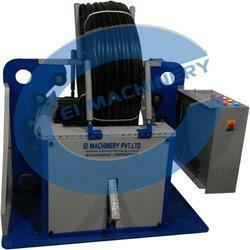 The offered machine is developed in accordance to industry norms and quality parameters. In the offered machine, our professionals use the approved material during the manufacturing process. 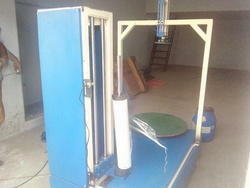 In addition, this machine can be built and developed according to the specification provided by the clients. 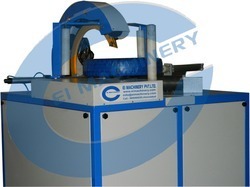 Furthermore, our professionals opt for strict quality inspection made on the machine to ensure high performance. 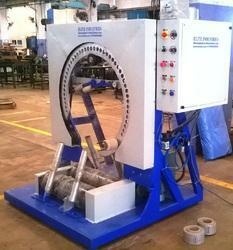 This machine is used to wrap the Paper Rolls, Reels, and other heavy weight Rolls and circular products. Machine dimension (LXWXH) mtrs. (3.2X2X3) mtrs. 1 Phase, AC 230 v, 50/60Hz. Adjustable overlapping by motor drive. 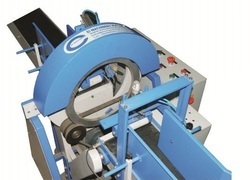 Automatic cutting and holding of film. Motors controlled by ac frequency drive, Counter & Timer based operation. 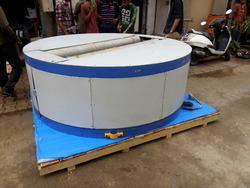 3 / 4 HP for turn table to Load 1500 Kgs. With the assistance of our deft team of professionals, we are able to introduce a broad array of Pallet Wrapping Machine. 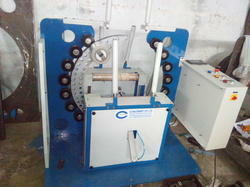 This machine is used in variety of industrial sectors. 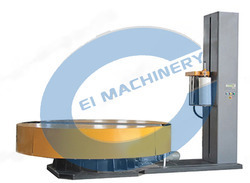 Also, the offered machine is made available in various sizes and shapes and dimensions. Our professionals manufacture this machine using high quality materials such as stainless steel, aluminum and quality approved materials. 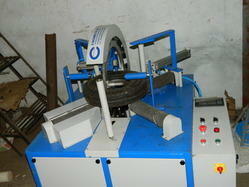 Further, this machine offers reliability and high durability to the clients. 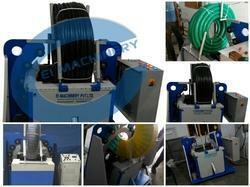 Apart from this, clients can also get this machine in bulk from us in industry leading rates. Adaptability is good, high efficiency and low electricity consumption decrease the labor intensity. 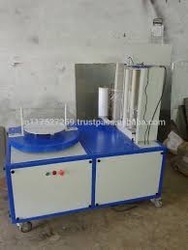 It protect the package against dust and damp, and make the package clean." 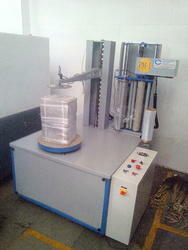 Since our beginning, we are engaged in presenting a wide range of excellent quality Luggage Wrapping Machine. 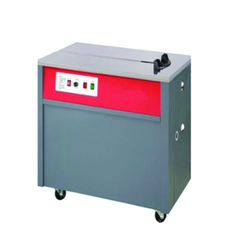 This machine in used in various chemical processing units, water treatment plants and mechanical companies and hospitality industry for packaging luggage. The separate valve machine, remote monitoring and user friendly panel helps in clients control and check the sophisticated processing of the luggage. 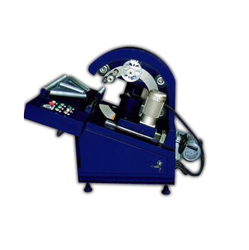 Our professionals have designed the machine using modern technological sciences and tools. Ring: 16 mm thick M.S.